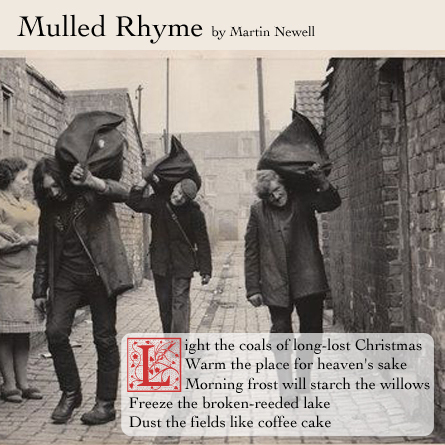 Readers may have noticed that Martin Newell (a.k.a. The Cleaners from Venus) is one of my favorite artists. Some years back, he and I began a Christmas tradition on his website’s message boards of creating an online advent calendar, each day revealing a picture of a person, item, or theme of importance to him. He’d handle the curation, with suggestions from other message board users, and I’d handle the Photoshop and image-hosting. Puts a grin upon his face. Tinsel collar for the cat. 20) Father Christmas and the missus. Merry Christmas, keep it well.